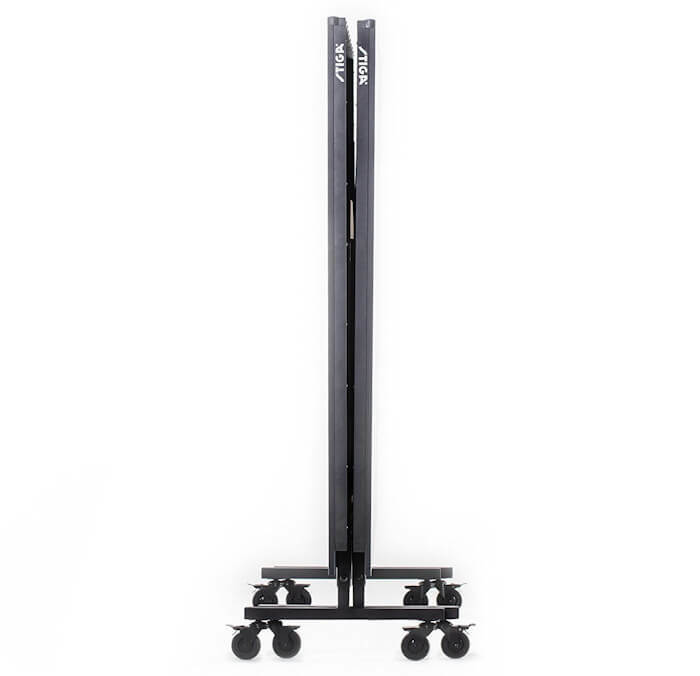 The Stiga (pronounced Steega) Advantage T8580w is a mid-level table from an established brand. So let's take a closer look at all aspects of this table so that you can decide whether the Advantage T8580w is the right table for you. 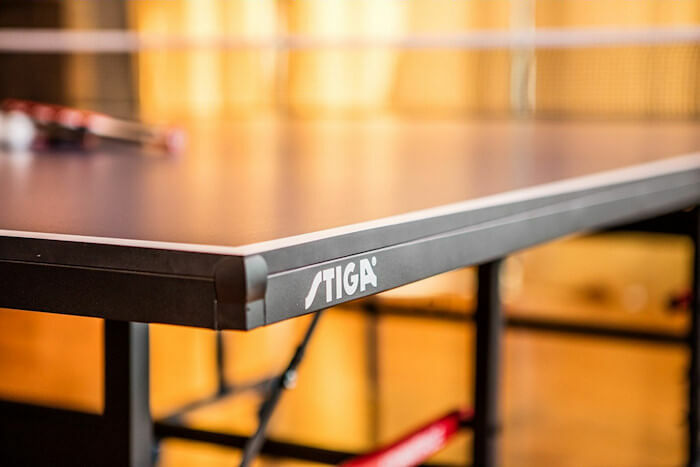 You can also see a list of all Stiga table tennis tables here. 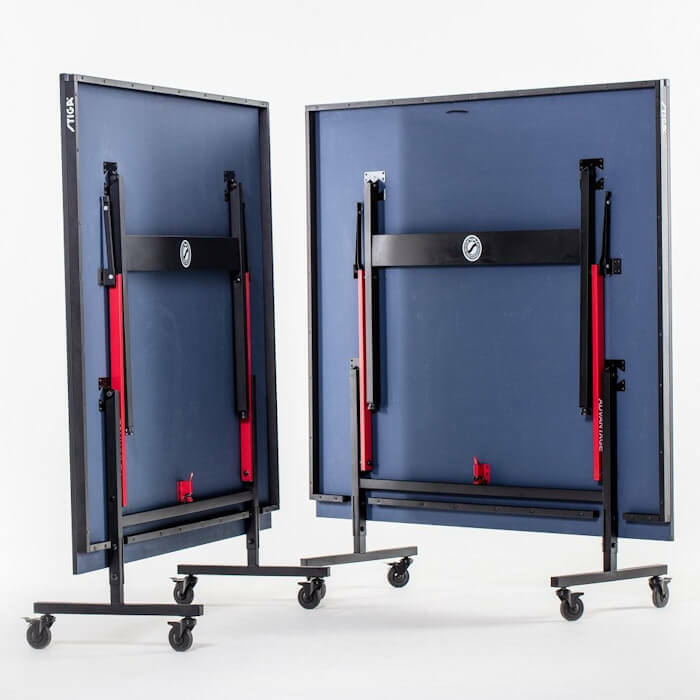 When you're erecting or storing this table, each half of the playing surface independently tilts into an upright position. 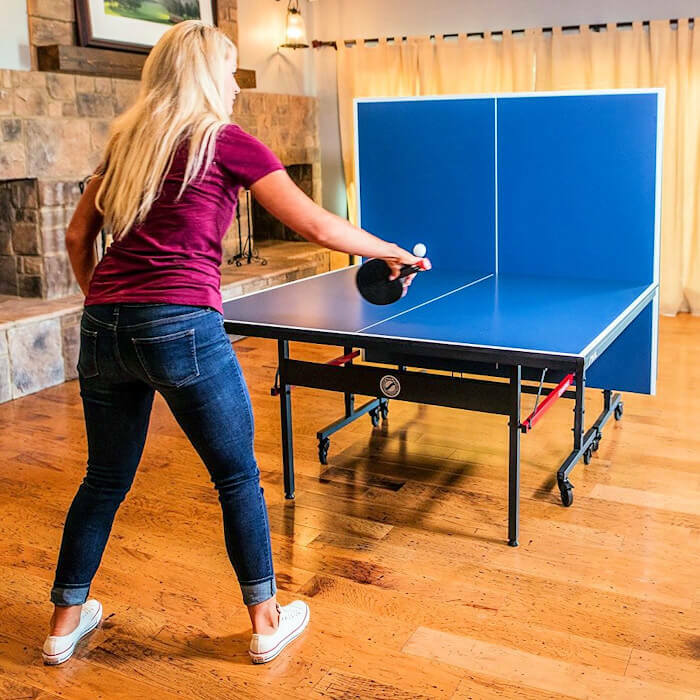 This feature, which is present on many tables, enables the table to be used by one person by using the upright section of the table as an opponent. When you're not using the table, you may want to store it away. Each table half has independent caster beams which allow the two halves to be completely separated and used as freestanding multi-use tables. 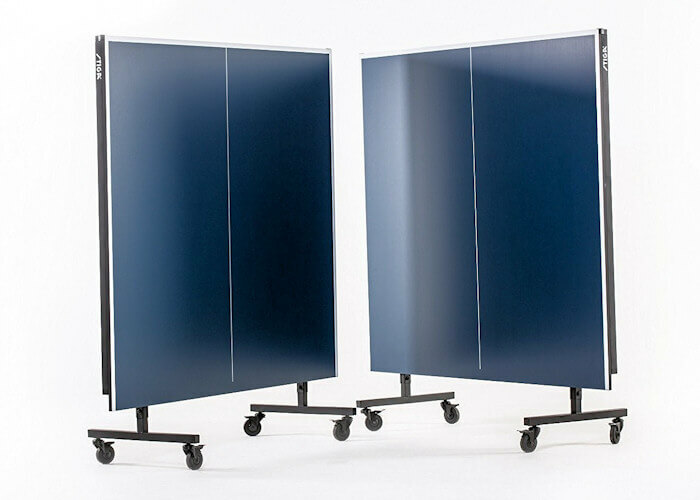 Additionally, the chassis design allows the table halves to nest into one another for ultra-compact storage. This is how the table looks in its nested storage position with each half of the playing surface in an upright position. The corners of a table can be hazardous in certain situations, and this picture shows how the corner of this table is protected. This is a useful safety feature. This table has a 1½ inch steel apron underneath the edges of the playing surface. This helps support the playing surface and reduce the opportunity for the playing surface to warp easily. The undercarriage is completely separate for each half of the table. The cross beams add stability to the table. 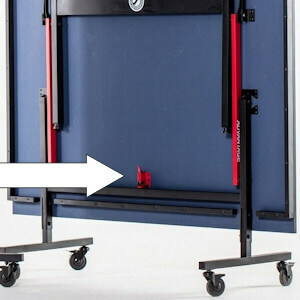 When you need to move the table (usually in its storage position) there are two wheels on each of the four center legs. 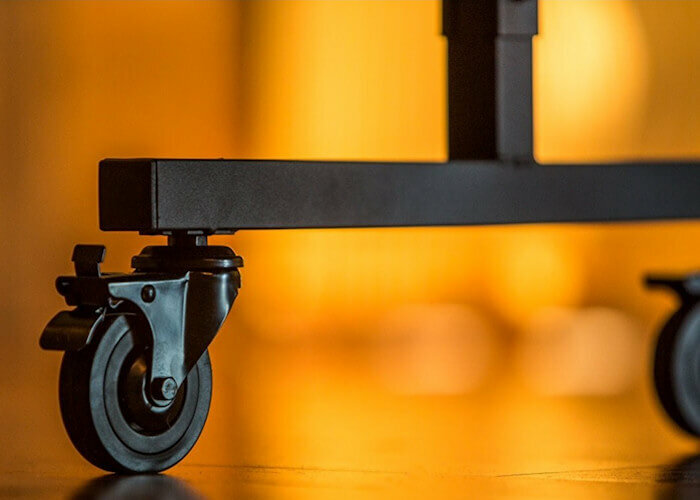 The wheels are 3 inch black casters with locks. 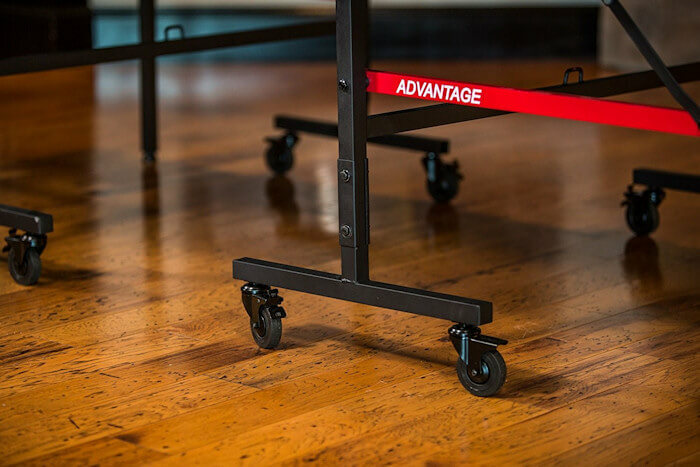 The 4 outer legs on this table are 1½ inch square steel legs with a self opening function, which means that as you erect the table, the legs automatically open to the required position. 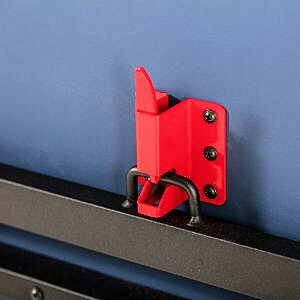 They also have leg levelers which can be used if the floor is uneven. This is the spring loaded locking device which is used to secure each half of the playing surface in the upright position. The ITTF rules state that the length of the net must be 6 feet, and the height must be 6 inches. It must also be adjustable. 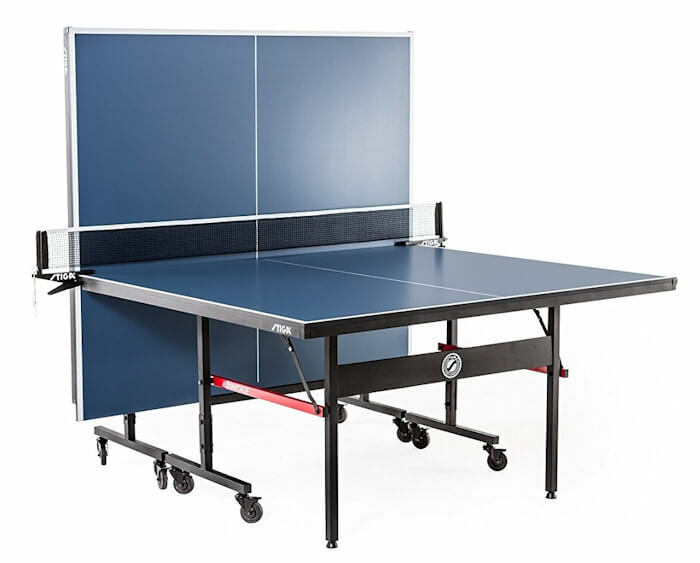 The net and posts set supplied with this table is good quality and meets the above ITTF requirements for competitive play. The clamp is spring loaded and easy to attach and remove. This table requires minimal home assembly. The only thing that needs to be done is to attach the eight casters to the legs. The table top is in two halves, with each half measuring 4 feet 6 inches long by 5 feet wide and you'll need help in lifting them out of the box and turning them to the upright position once the casters are installed. Once assembled, the table can be opened and closed by one person. 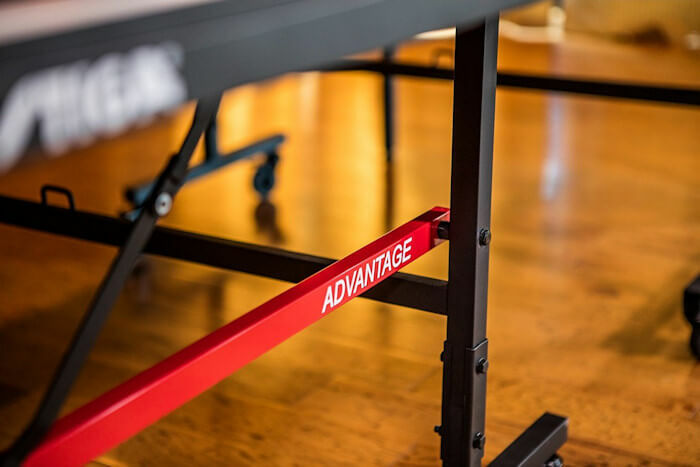 Who is this Stiga Advantage T8580w Table Tennis Table for? 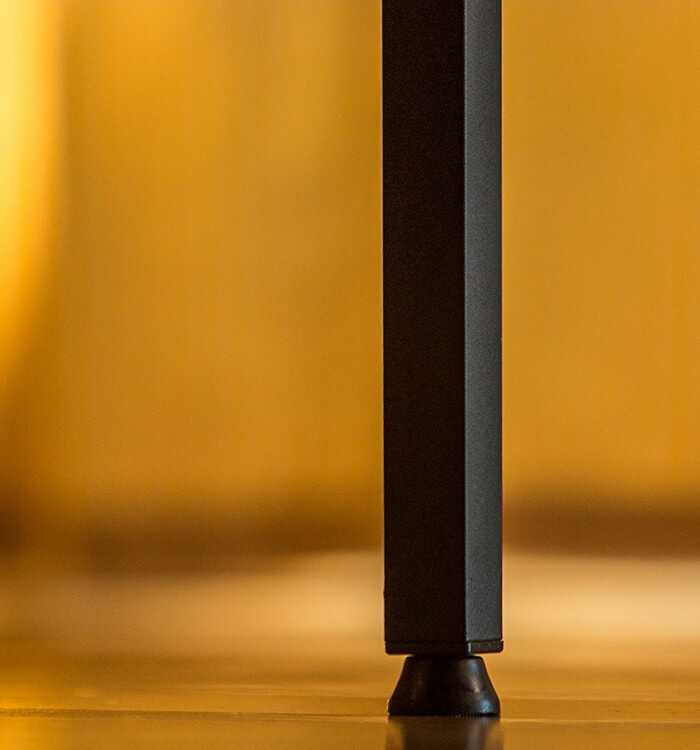 This table is primarily intended for light home use. 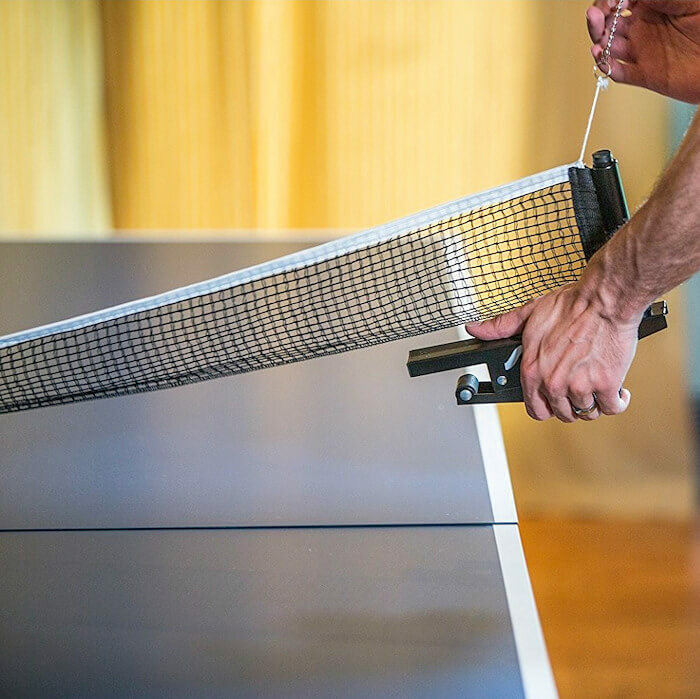 Ideally, you would assemble the table and leave it permanently erected. This table is designed for indoor use and if used outdoors you take a risk that the playing surface may warp. If you want an inexpensive table for home use, this would be a suitable choice. This table has not been submitted for testing by the International Table Tennis Federation (ITTF), so it is not an "authorised" ITTF table. However, that just means that it cannot be used for top quality events, although it's suitable for everyday use at home. 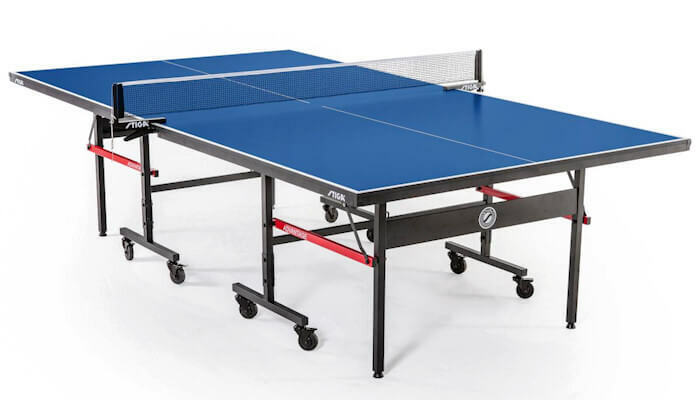 Which is the Best Stiga Table Tennis Table?